One such itinerary travels up the Rhine River from Basel, Switzerland to Bergen. 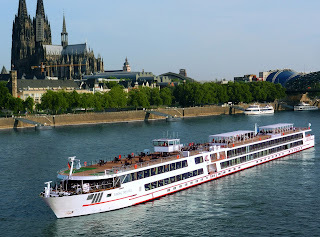 Guests start first with a Viking Longship river cruise up the Rhine, a scenic waterway dotted with castles, charming towns, and enchanting cities. The river cruise ends in Amsterdam where guests embark their Viking Ocean ship for the voyage north to Norway’s magical fjords. This itinerary is also available in the reverse direction, from Bergen to Basel. Interested? Don’t take too long to decide. Viking’s first two combination ocean and river voyages debut this June, but they’re already sold out and there is every indication that the limited amount of 2019 sailings will also book up quickly!